In a dystopian future, a self-contained valley in Argentina serves as the ‘far arena’ for those convicted of a crime. Inside the Valley: carnivorous dinosaurs generated from preserved DNA. The goal: cross the Valley to get to the Gates of Freedom. The chance of survival: no one has ever completed the journey. 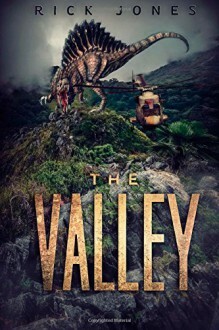 Convicted of crimes with little or no merit, Ben Peyton and others must battle their way across fields filled with the world’s deadliest apex predators in order to reach salvation. All the while the journey is caught on cameras and broadcast to the world as a reality show, the deaths and killings real, the macabre appetite of the audience needing to be satiated as Ben Peyton leads his team to escape not only from a legal system that’s more interested in entertainment than in justice, but also from the predators of the Valley.